Forget all your expensive camera equipment and just use your cell phone to create some interesting images. 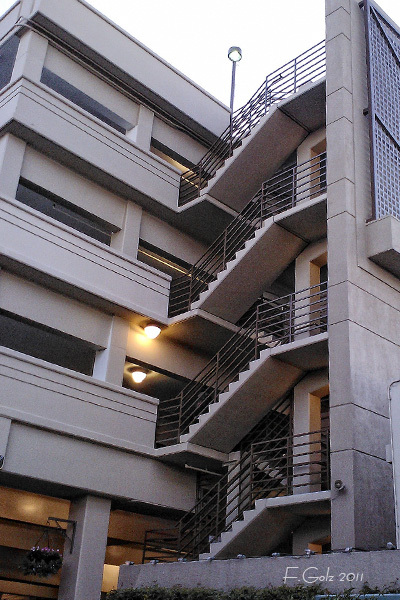 This is the parking structure in walnut Creek, CA. I liked the repetition of stairs and snapped an image. Enjoy and have fun with your cell phone.